child during this event. Pizza, drinks, and snacks will be provided. Childcare Sign up Sheet in School Office! 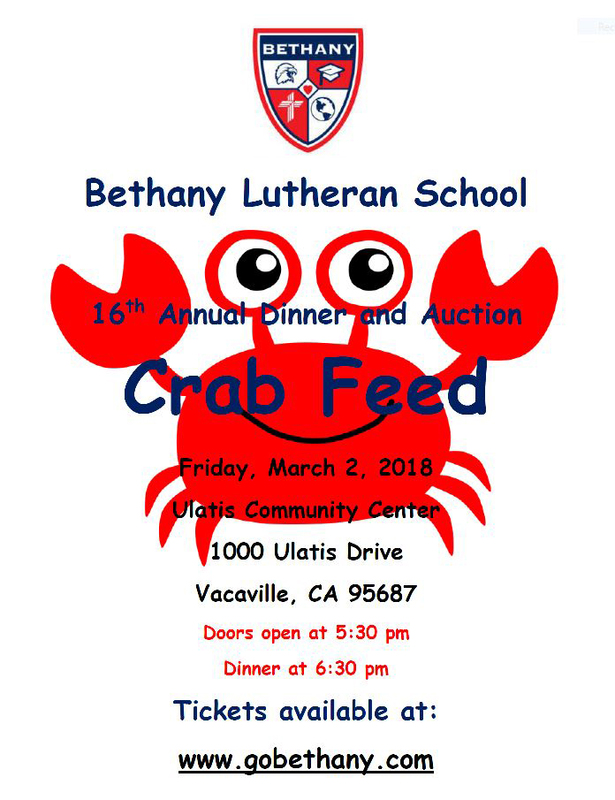 Help Needed For The Crab Feed! 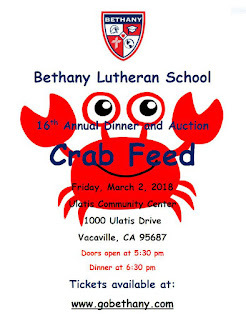 Don't Miss Out On The Crab Feed! 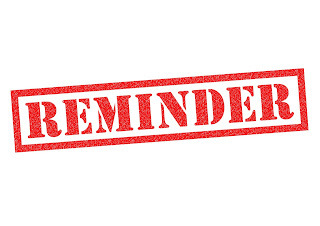 We just want to remind you to turn in your Partnership Hours at the end of each month so your account can be credited. Many of our BLS parents have been participating in the activities and events here at our school and we want to credit your account for these hours. Hours are not recorded by your signing into the visitor book in the office. Hours must be recorded by you onto the Partnership Hours form and submitted to the office. 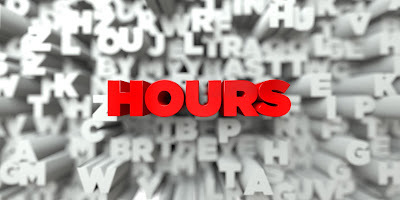 Please make sure to have a teacher, staff member, or event coordinator sign off on your completed hours. Partnership Hour Forms are available on the school’s website and in the Information Center currently located outside of the office in Building B. Please, don’t wait until the last month of school to try to complete 30 or 50 hours. As we move toward the end of the school year, there are fewer activities in which to complete your Partnership Hours. Show your creativity and talent. Be the winning artist and have your artwork published on the cover of this year’s yearbook! • Use 8.5” x 11” sheet of plain paper (no binder holes or lines, please). • Use the paper vertically. materials that create texture and give added dimensions to the design). avoid the artwork being cut in the trim process. Get Your Crab Feed Tickets Now For Early Bird Pricing! One of the most important components of an educational program is the ability to offer diversity within the course matrix. While striving to provide a high-quality academic program, we realize that electives are essential in building that diversity. Bethany Lutheran is proud to offer our students a very rich and diverse elective program. Electives are typically courses that fall outside of the main core academic subject areas (English, math, history, science and foreign language). Electives may reflect a teen’s interests, introduce or improve skills, or be directly related to a future career. Electives do not require as much time or work as a core course but include educational content. Our elective courses are comprised of 6 to 8-week modules, which allows the student to experience a variety of new and challenging courses while learning new skills. This year the following courses will be provided to students in grades 5 – 8. Although each student will have an opportunity to take an elective course, they may not be able to participate in each one that is offered due to their own individual academic course offering. Life Skills – This course incorporates both academic skills and daily living skills that are necessary to participate as independently as possible in the community as Christian and a valued member of society. Learning to overcome obstacles, dealing with life in general are a few of the skills you will learn during the course of the semester in this informative, activities based, and life skills class. We will cover topics such as how to balance a checkbook, how to properly do laundry and ironing, how to get along better with family and friends, and so much more. This class will give you much-needed information to help in life now and the future. Robotics – This course introduces students to the working principles of robotics with applications for film production using robotics. Students will explore fun applications, such as robotic soccer and robotic drawing by controlling a single robot out of the box, and continue on to multiple robot applications aided by a graphical user interface and computer programming using the C/C++ interpreter Ch. Students write robotics programs to perform various tasks with applications for the RoboPlay competition. With robots, students explore their creativity in writing, art, music, choreography, design, video editing and film production. This course emphasizes hands-on robotics activities to explore applications of robotics to gain effective communication and teamwork skills. Art Appreciation – This course is an exploration of visual art forms and their cultural connections for the student with little experience in the visual arts. It includes a brief study of art history, and in-depth studies of the elements, media, and methods used in creative thought and processes. Students will also have the opportunity to explore cultural art through virtual trips using Google Cardboard and other V-R devices. Disciple Buddies – As an extension on the Christian doctrine, and chapel program, Disciple Buddies offers the middle school students an opportunity to grow their faith. Students will gather in faith groups on occasion with parents and teachers leading a discussion, bible exploration, or time of prayer. We pray that the Holy Spirit works through our mentors as they live and speak authentically of their own spiritual walk. Also, monthly throughout the school year, many of our middle school students will mentor a dedicated elementary school “buddy” from the primary school. Through our on-campus model, our older students will serve as mentors for our younger students. Classes may pair up and have “book buddies” for the year. Certain activities lend themselves to needing the help and guidance of older students providing a chance for unstructured mentoring relationships. Our staff can identify these opportunities and facilitate the pairing of a student mentor with a student who could benefit. Teacher’s Assistant (TA) – Allows students to assist a teacher with one or more classes. Some of the tasks include assisting students with their work, working one-on-one with younger students, making copies, and taking time to learn some of the nuances of what an educator does on a daily basis. Digital Photography – Students will be introduced to the basic technology necessary for the production of their artwork, as well as learning about the visual arts, how to look at and critique photography, photographic vocabulary, using tools such as framing, composition, “rule of thirds", light, texture, pattern, lines, symmetry, depth of field, distance, perspective, culture, space, balance, color and black and white photography, and be introduced to many works by well-known photographers. Forensics – Introduction to the application of scientific methods for the examination of physical evidence in the criminal justice system; an overview of the forensic analysis of firearms, fingerprints, drugs, blood, hair, fibers, paint, glass, arson debris, etc. Agriculture – This course has been designed to create an awareness, provide introductory experiences, and develop an understanding of all areas of Agricultural Sciences. This course allows students to develop knowledge and skills regarding career opportunities, personal development, globalization, industry standards, details, practices, and expectations. To prepare for success, students need to have opportunities to learn, reinforce, experience, apply, and transfer their knowledge and skills in a variety of settings. Honors Technology / Multimedia Design – This will be the first course offered as an Honors leveled course at Bethany Lutheran. Students who desire to be in this course must apply in the fall for Spring consideration. This course is designed as a semester-long, hands-on, project-oriented class which introduces STEM principles, concepts, and guidelines so that the students engage in current topics related to industry standards and practices. The Honors Technology course will be open to students who have successfully completed or demonstrated a high level of knowledge of basic and elementary computing practices such as keyboarding, basic coding, and web design. Students will have also maintained above average grades in their previous technology courses. The course is designed to teach students the advanced features within the Microsoft Office Suite, Web Design, coding, and an introduction to Visual Basic. Students will also hone their skills by developing high-end digital media-driven projects which consist of photography, video, and audio. In addition to the academic rigor of the course, students will participate in a major collaborative final project with other students and teachers from varying departments such as Science and/or English. Each student will also participate in a trimester collaborative STEM project with their Science and Math classes. 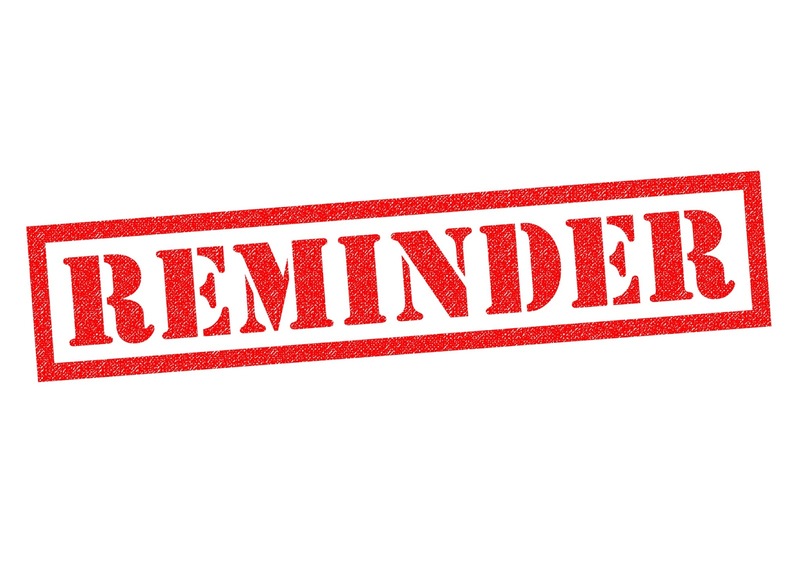 Parents: Please remember that if you will be picking up your children at anytime BEFORE 2:35pm (K-4) or before 2:45pm (5th-8th) then you MUST come to the school office and sign your child out. Please DO NOT use the preschool/playground door to pick your children up. When you come and use the bell at that end of the building at the end of the day you wake up our knapping preschoolers. This includes kindergarten parents—your kids are now at the other end of the building. Children will be excused out on the playground and must be picked up from there—either by pedestrian parents or parents lined up along the building for car pickup. We understand parents want to “Beat the Traffic” and come at 2:25pm but please wait until the end of the day with the other parents and get your child from the playground area. *There will always be a legitimate reason for some early pickups.